Galit Goldfarb # 1 International Bestselling Author, PhD student, Nutritionist and Medical Researcher holds the key to helping you lose any excess weight and achieve the health you deserve. Goldfarb’s in-depth research on health and weight loss followed her personal suffering from cancer, excess weight and eating disorders and was the inspiration for The Guerrilla Diet & Lifestyle Program. When her coaching clients, family and friends easily lost weight, reversed disease states and became healthy human beings, Goldfarb knew she had to release this knowledge to the world. 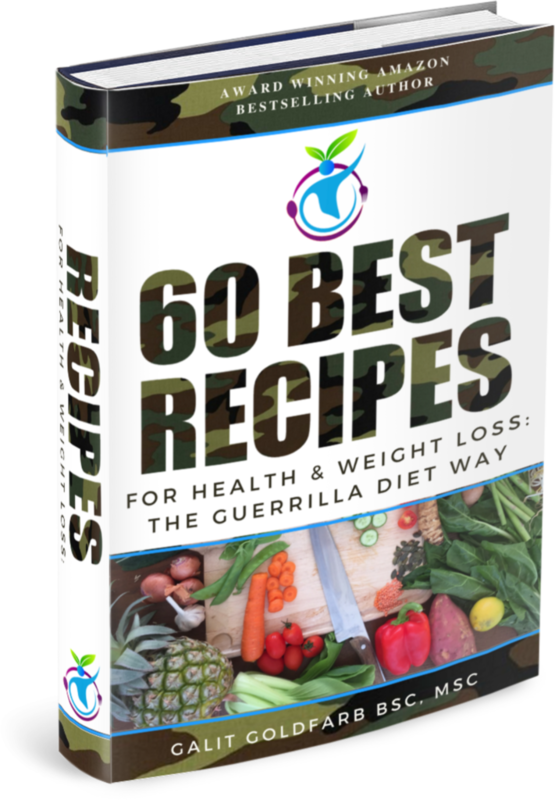 This title from the Guerrilla Diet Health Series provides you with a practical step-by-step recipes that contain only the best ingredients to ensure you lose weight in the fastest time and feel good while you are in the process. The recipes in this book will put you on the path towards achieving permanent good health and easy weight loss. Yes, You Can Achieve The Weight And Great Health You Desire! When you claim your copy of my book: 50 Best Recipes For Health And Weight Loss: The Guerrilla Diet Way, you’ll be getting a complete set of nutritious and healthy recipes that they will ensure you are eating the most nurturing foods for your body and mind. 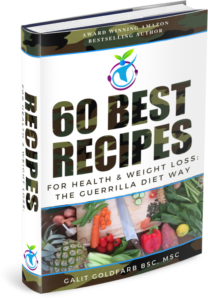 To get started with Your 50 Best Recipes For Health And Weight Loss: The Guerrilla Diet Way right now, simply follow the link below.